Cocaine availability rebounded slightly in 2013 compared to 2012. However, it remains stable at historically low levels throughout most domestic markets along the East Coast. These lower levels constitute a new normal in comparison to pre-2007 levels when US markets had high levels of cocaine availability with low prices and high purity. 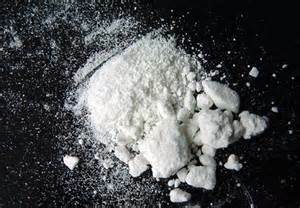 Cocaine is generally sold on the street as a fine, white, cystalline powder and is also known as "coke," "C," "snow," "flake." or "blow." Street dealers generally dilute it with inert substances such as cornstrach, talcum powder, or sugar, or with active drugs such as procaine (a chemically related local anesthetic) or amphetamine (another stimulant). Some users combine cocaine with heroin--in what is termed "speed-ball."